The Blog will continue to follow this case and future firearm legislation in Maryland. 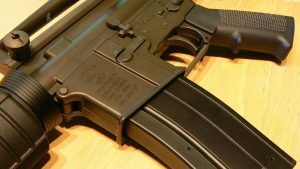 While the Supreme Court has thus far declined to accept appeals involving a state assault rifle bans, this could change at any time as new Justices are appointed. Benjamin Herbst is a gun crimes attorney that handles cases such illegal possession of a firearm and unlawful wear transport or carry of a handgun. These laws are listed in both the Maryland criminal code and the public safety code and could carry mandatory minimum jail sentences if not handled properly. Contact Benjamin for a free consultation about your case anytime at 410-207-2598. Appeals court upholds Maryland ban on semiautomatic, military style guns, washingtonpost.com.